Finally, Moto G5S Plus (5th Generation, Special edition) launched after the month of the leaks. The company added letter ‘S’ to the name of the smartphone to indicates that it is the special edition of the G5 Plus model. The company promises that the device comes up with several updates from its predecessor Moto G5 Plus. The Moto G5S Plus will go on sale from this month (August) in US. Also, the company launches Moto G5S along with it. 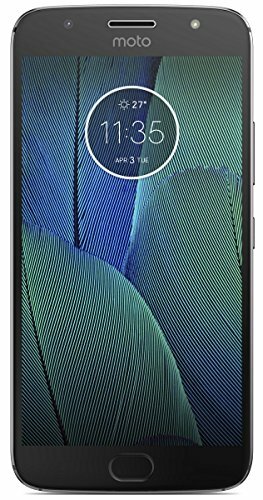 So now let’s discuss the price, features, full specification and competitors of the Moto G5S Plus in the Indian market. Along with it, we will also look at Moto G5S Plus’s pros, cons, and quick review. The device is priced at Rs 15,999. And it is exclusively available on Amazon. After the launch of the Mi A1, the first question hits in your mind that in term of camera performance, Xiaomi mi A1 or Moto G5s plus! Which one is better?’. Almost every person who seeks to buy the phone has confusion on Moto G5s plus or Xiaomi mi A1. So, let us remove your confusion. So let’s take a look at the Moto G5S Plus’s Advantages and disadvantages of buying it. Dual 13 MP rear camera delivers the more detailed image. Even it is little better than Mi A1 but not in the 2x optical zoom, depth and portrait mode. So, it is the best camera phone in the range of the Rs 16,000. Combination of the 2.5D curved-edge Gorilla Glass 3 protected display, and full metal body gives good build quality and premium look, & feel. Full metal body with 5.5 Full HD display. The Rear camera is of 8MP but it is not upto the mark in some situations. While taking shots the shutter lags. It comes with Hybrid sim slot. No change towards the processor of the device. It is same as what Moto G5 Plus had. The speaker output is not great as what Mi A1 has. The device heats up while charging. Rear camera of Moto G5 Plus has an aperture of f/1.7 but G5S Plus had only f/2.0. Thus, low-light photography experience will decrease. No Compass, & Infrared Sensor has given. Battery life is same as Moto G5 Plus. Now, these days Moto is not giving the Android security update as it was giving earlier. Let’s move toward the specification of Moto G5S Plus and know how the device’s feature is useful to you. 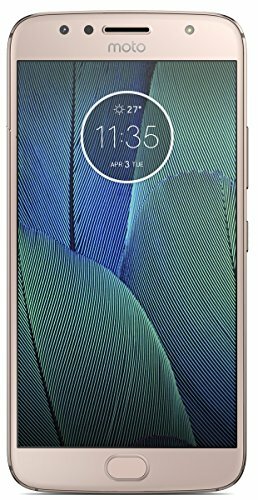 Also, know how Moto G5S Plus is different from Moto G5 Plus (Moto G5S Plus vs Moto G5 Plus)? The camera segment is the highlighting feature of this new smartphone. Moto G5S Plus comes with the 13 MP dual camera setup at the back while on the front, it has 8 MP camera with wide angle lens and LED flash. The device launch in two variant and those are 3 GB & 4 GB RAM model. With 3 GB & 4 GB RAM model, you will get 32 GB & 64 GB ROM respectively. It comes with Qualcomm Snapdragon 625 processor clocked at 2.0 GHz octa-core CPU. For graphic performance, an Adreno 506 GPU (clock at 650 MHz) is given. It has a larger display than Moto G5 Plus. It has 5.5-inch FHD display with 1920×1080 resolution (~401ppi). Unlike its predecessor, it comes with a full unimetal body design. The display of the device gets protected by Corning Gorilla Glass 3. Along with it, device comes with Water repellent nano-coating. So with the Water repellent nano-coating, your device will be protected from moderate exposure to water such as accidental spills, splashes or light rain. The device is not designed to drop in water or exposed to pressurized water, or other liquids. Similar to Moto G5 Plus, the device has 3000 mAH battery that supports turbo charging. The company says that turbo charging will boost your phone for 6 Hr in just 15 min. For more Moto G5S Plus Pros & cons, keep in touch we will be right back soon with the Moto G5S Plus’s depth review. I need a phone today under 15k and I need a qualcomm snapdragon, dual sim and do not want to buy redmi, xaomi, oppo, vivo or lenovo. LG, samsung or motorola preferred. Is there a phone you think fits in this range? I care about a good camera and may or may not have a micro SD sim. Please reply at earliest. As per as your demands, Moto G5S Plus fits best. Beside this, you can also go for Nokia 6 which is practically very good smartphone under 15k.